Portraits collection (all made by Isandir) seamlessly integrated into the game. 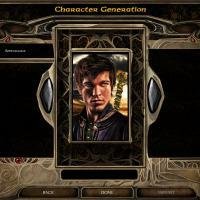 Portrait pack by Isandir in a style similar to vanilla BG1 portraits and few in BG2 style. In Enhanced Edition games you will be able to choose new portraits right from the GUI menu, like the vanilla ones (new references are added into BGEE.sql). In non EE games all portraits will be just copied to Portraits folder, so you will need to choose them from the Custom menu. This component implements Ust Natha BG2 NPC Portraits during Underdark questline. Normal ones will be swapped with Ust Natha version as soon as Adalon casts her illusion spells. When the illusion is over (when you attack Adalon or when leaving the Underdark) the portraits will be changed back to normal ones. Currently the follwing vanilla NPCs don't have Ust Natha portraits: Dorn, Neera, Yoshimo, Hexxat, Rasaad, Sarevok. If Isandir decides to make them they will be included in future versions of the mod. In "art" folder you can see all portraits that come with this mod in XL size. The "bmp/foldername/alt" directories also contain alternative portraits that are not used by the mod, but you can swap them manually if you like them better. The mod is compatible with NPC Damage mod by khayman and SConrad (damage portrait swap is disabled during the Ust Natha illusion). This mod forces to use default portraits for NPCs, so it will conflict visually with mods that change these (Ust Natha version of the portraits use default portraits as the base). - Isandir - for all these awesome portraits. - khayman and SConrad - for NPC Damage mod. - SHS - for hosting my mods. The idea of changing portraits while in Ust Natha is a great one; kudos for the concept. 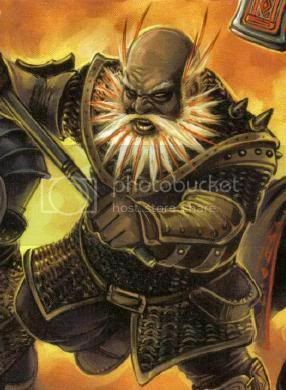 If I might make a suggestion, Drow in DnD (and more specifically in Faerun, the setting of BG games) do not have facial hair... in short, portraits like vanilla Aerie, Jaheira, maybe even Minsc are passable as darkened versions with pointy ears, but if you're striving to be faithful to the lore, ones like Jan, Edwin, etc need entirely different portraits (although I suppose Jan could pass as a Svirf, but that presents different problems of it's own). In the case of the non Elves/half elves, if the NPCs looked anything like these new 'Drow-fied' versions, Adaalon's spell would've been a colossal failure and the party would've been exposed upon their first meeting with real Drow. Overall the concept is brilliant and the artwork is well done though. Isandir mentioned that he is planning to update them sometime down the road, so if you have advices about further improvements for the Ust Natha portraits please also send him the message: http://isandir.com/contact/ I'm not sure if he is following this topic. Edited by K4thos, 20 December 2014 - 04:22 PM.